The New Children's Museum in downtown San Diego fosters creativity and provides inventive and engaging art and educational experiences to children and families. The theme of the current exhibition is "Feast: The Art of Playing with Your Food", and features various areas where children can experience food in a whole new way. One exhibit for toddlers features a PolyStar multi-purpose poured-in-place system that was custom designed by artists to depict a giant sink highlighted with colorful water droplets. 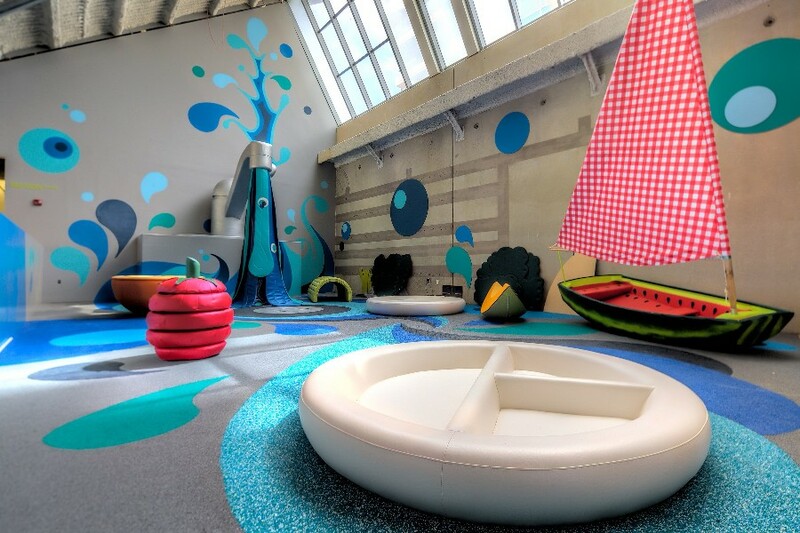 This "Wobbleland" is an interactive space where toddlers are encouraged to learn about, and play with, larger than life food. 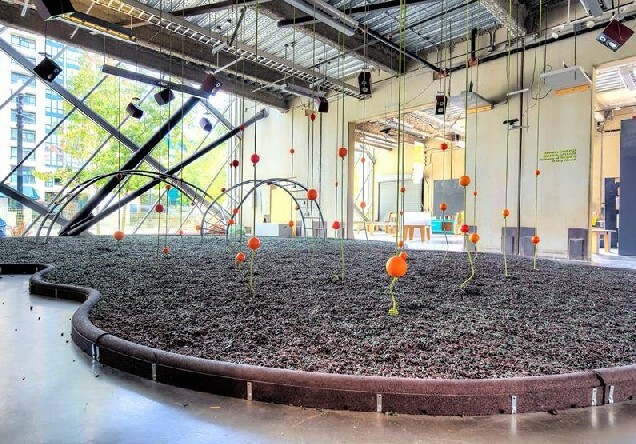 The second area, an abstract orange grove, was designed by artist Nina Waisman to teach children where their food comes from. This exhibit utilizes our RubberMulch as a resilient safety surface below a set of climbing ropes. As children walk and climb through the grove they activate sounds and songs. The RubberMulch provides impact protection, a bouncy feel, and a freshly mulched orchard look. The PolyStar and RubberMulch systems are safe, fun, customizeable, and have been used in a variety of applications- from museums, to playgrounds, to rooftops. Both systems can be customized to meet ASTM fall height requirements.